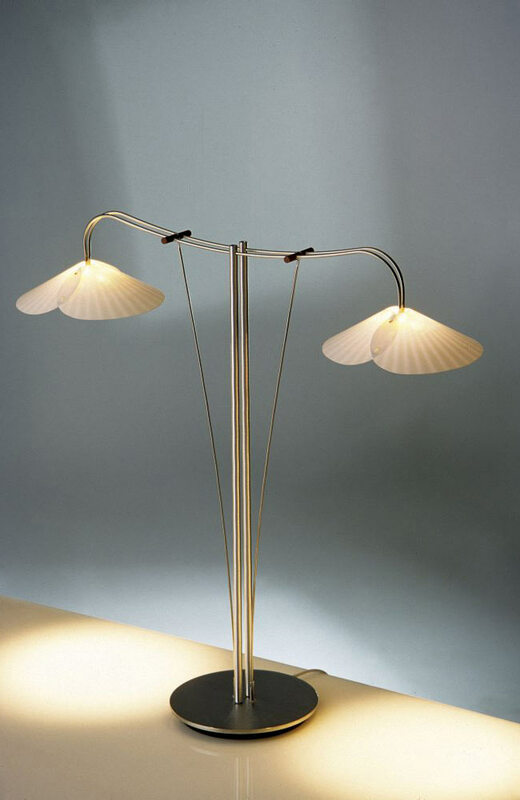 Hand-formed stainless steel structure with Bakelite detail and polycarbonate shades. Includes two MR-11 halogen bulbs. Measures 20" high x 22" wide x 5.75" base.